Alongside the launch of the Y9 2018, Huawei also came up with its new budget smartphone, called the Huawei Y7 Pro 2018. The phone comes with an 18:9 5.99-inch LCD display and dual rear cameras. The phone is priced at Rs. 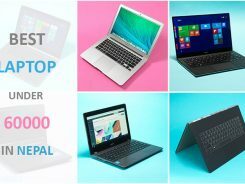 20,900 and is now available for purchase via offline retailers in Nepal. It is offered in three color variants- Black, Blue, and Gold. The phone features a metal unibody design and has a large 5.99-inch HD+ IPS display with a resolution of 1440 x 720 pixels alongside aspect ratio of 18:9. Underneath, it is powered by an octa-core Snapdragon 430 processor clocked at 1.4GHz, coupled with 3GB of RAM and 32GB of internal. The storage can be further expanded up to 256GB through a microSD card. The phone is fuelled by 3,000mAh non-removable battery. As far as software is concerned, it runs on the latest Android 8.0 Oreo wrapped under EMUI 8.0 skin.The fingerprint scanner is placed at the back panel of the phone. In terms of connectivity features, the phone offers 4G LTE, Wi-Fi 802.11 a/b/g/n/ac, GPS, Bluetooth 4.2, USB OTG, Dual-Sim and 3.5mm headphone jack. On the camera front, the Huawei Y7 Pro (2018) features a dual rear camera setup which combines 13-megapixel sensor and 2-megapixel sensor accompanied LED Flash. On the other hand, there’s a single 8MP front-facing camera for selfies and video-calling. The front camera also features facial recognition technology. What do you think about the Huawei Y7 Pro 2018? Let us know your thoughts in the comments section below!